The Book of Revelation was the last book of the Bible speaks of the ultimate spiritual experience, the judging of the soul and its chance to finally achieve unity with its Maker. 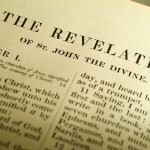 Revelation is the final book of the Bible and is very complex. Have the theology writers at Paper Masters custom write a research paper on any aspect of the Book of Revelation. How did the doctrine come to be? Was it through logic and careful analysis of experience? What has been the influence of the doctrine’s sponsor? The Old Testament begins with the story of the Creation, extending over the period of seven days, and culminating in God’s shaping the body of the first man, Adam, out of dust and breathing divine Life into him. Eve, created by God from a rib taken from Adam, was added later as a companion at the same level as her husband, and flesh of his flesh. Like the other living things that had already been created, they were to be fruitful and multiply. For a period of time, they lived in the Garden in a state of innocence, communing regularly with God. Seduced by Satan in the form of a serpent, Eve disobeys, then Adam also, and becuse of this they are cast out, Eve to suffer in childbirth and Adam to labor by the sweat of his brow. The pivotal point between Old and New Testament is the miraculous birth and ultimate sacrifice of Christ to atone for this original sin. The Book of Revelation alludes to the Creation of this first world but in a much darker and less straightforward manner. Once again, the Judgement of the world and of all mankind is not an instantaneous process, but begins with the opening of the Seven Seals. Whereas the seven days of Creation saw the originating of natural life as we know it – the seas, the mountains, the rivers and streams, all the beauties of nature including life itself – the Seven Seals portend death, violence and destruction of all these aspects of reality. Genesis Creation Myth - Research papers on the Genesis Creation Myth discuss the two main genesis creation myths. Creation Myths research papers discuss the many types of creation stories. God research papers examine the idea of the existence of some Greater Power or Powers permeates human history in the form of gods. Jesus Christ research papers overview the teacher's life and influence on Christianity all over the world. The Book of Acts - Research papers on The Book of Acts discuss five major concerns expressed in the Apostle Paul's theology and briefly overview his life. Antichrist - Antichrist research papers discuss the Second Coming of Christ, and the Antichrist rising after Christ’s return. Jehovah's Witnesses - Jehovah’s Witnesses are religious sect founded in the 1870s by Charles Taze Russell. Kingdom of Heaven research papers discuss Christian ethics in light of the afterlife. Passion of the Christ - The controversial film The Passion of the Christ, released in early 2004, garnered both acclaim and censure from critical and popular audiences. End Time Prophecy - End Times Prophecy research papers examine prophecies regarding the end of times in world religions. Hell - Hell research papers discuss the popularly mythologized place of endless fire and suffering, presided over by Satan. History Jesus - History of Jesus research papers discuss the complex history of Jesus' existence. Teachings of Jesus Christ - Teachings of Jesus research papers discuss the Gospels and what Jesus taught in the Bible. Paper Masters writes custom research papers on The Book of Revelation, the last book of the Bible, and examines the spiritual nuances of this futuristic work.